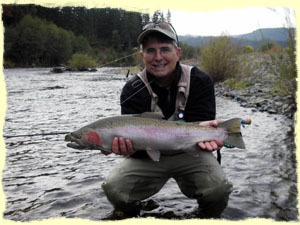 If you are looking to fly fish for Steelhead, Salmon, or that trophy Brown Trout, Trinity River Adventures is the professional guide service to use. 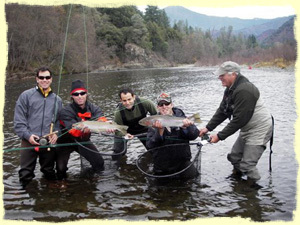 Our guides are experienced, in all facets of fly-fishing, from traditional styles to Spey and switch techniques. All our guides are local and live on or by the Trinity River most are on the water 200 + days a year (so we know where they are!!!). 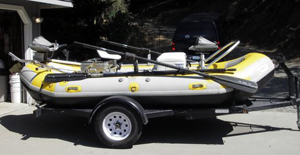 Our drift boats, rafts and power boats are top of the line and fully equipped with state of the art gear and tackle. 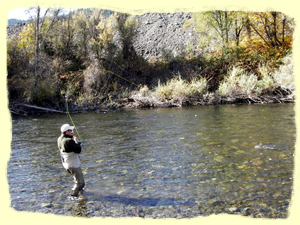 Trinity River Adventures base of operations is outside of Lewiston California, seven miles below Lewiston Lake on the banks of the beautiful Trinity River. 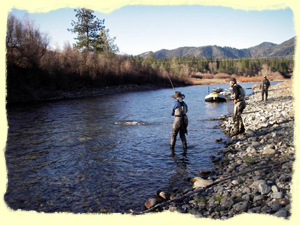 The Trinity River starts at over 8000 ft. in the Trinity Alps, and winds its way down to Trinity Lake, formed by Trinity dam. 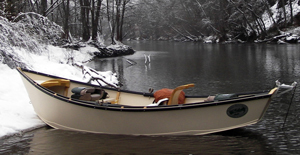 The lake is about 30 miles long and has over 300 miles of jagged fingered alpine shoreline. Trinity Lake then empties its water into Lewiston Lake created by Lewiston Dam, a long narrow 7 mile lake that will remind you of a big spring creek; it actually has a current running through it. Below Lewiston dam is the new head waters of the famous Trinity River. 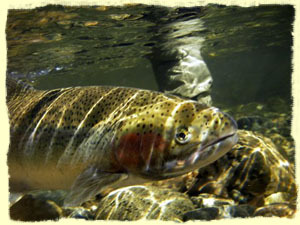 We guide the Trinity River from the fly water at the base of Lewiston Dam to the Hoopa reservation 90 miles downriver. 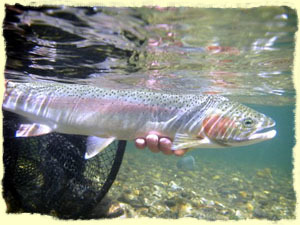 The Trinity is one of the most pristine river wildernesses on the west coast, world famous for its large steelhead runs. (People can't believe they are actually in California). 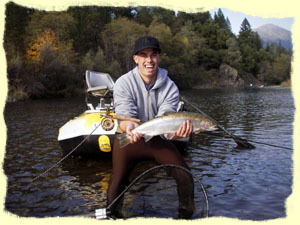 Along this 90 mile stretch of water we have two dozen access points where we can get in and out, depending on fish concentrations and fishing technique. 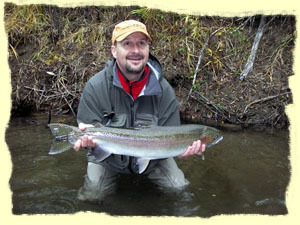 If we are Spey fishing we are more likely to be down river where it opens up and we can let the longer rods fly.